So many lovely neighborhoods in the East Bay! I worked with many delightful clients in 2012 helping them sell or purchase in a wide variety of price ranges and neighborhoods. From the urban hub near Lake Merritt or downtown Berkeley to treelined vistas and panoramic views in the hills there is something for everyone. 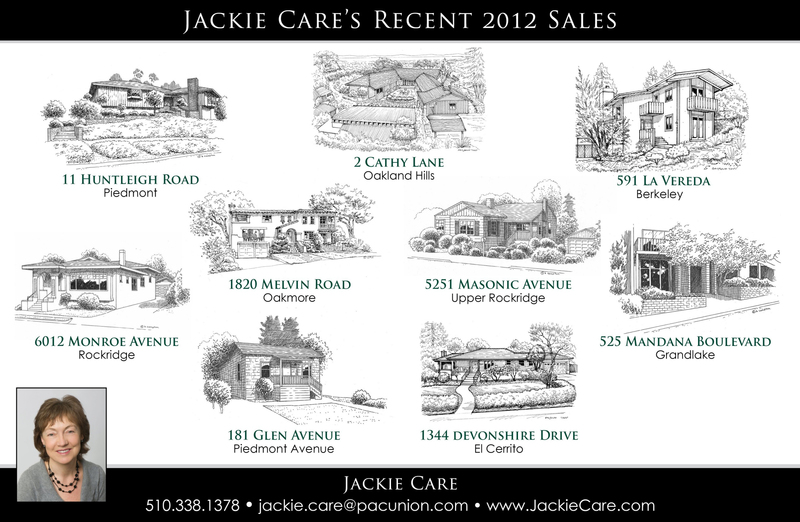 For those who are looking to sell in 2013, buyers are eagerly awaiting new inventory. I’d love to hear from you if you’re considering selling or buying this year! We saw a large increase of new listings last week. A total of 82 additional properties over $500,000 came on in Oakland, Berkeley, Piedmont, Albany, Kensington and El Cerrito. This was the largest increase in inventory since March. The inventory level continues to provide a pretty balanced market, with some homes selling quickly and others sitting.